Scientists at the U.S. Army Medical Research Institute of Infectious Diseases (USAMRIID) have proposed a set of standards aimed at developing a common “language” among investigators working to sequence viral genomes and characterize viral stocks. According to USAMRIID senior author Gustavo Palacios, Ph.D., the proposed system, published last week as an editorial in the journal mBio, is the result of a collaborative effort involving scientists from many of the world’s leading institutions. Contributors include the Broad Institute, the J. Craig Venter Institute, Los Alamos National Laboratory, the National Institute of Allergy and Infectious Diseases, the University of Maryland, and Johns Hopkins University. “One of our main accomplishments was to sit everyone at the same table and agree to something meaningful,” he explained. 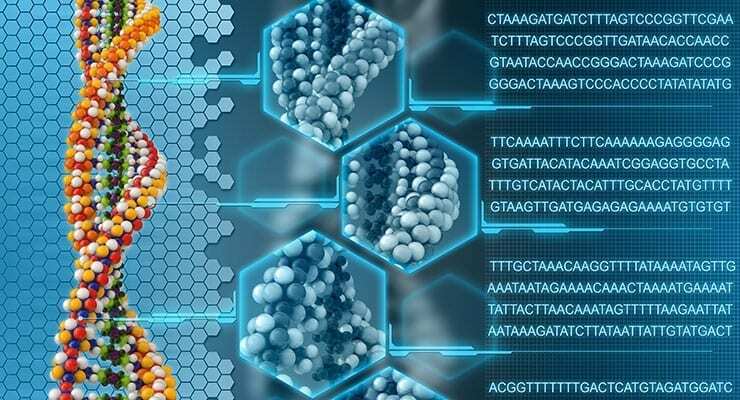 The genome is the genetic material of an organism, which is encoded either in DNA or, for many types of viruses, in RNA, according to the authors. The genome includes both the genes and the non-coding “sequences” of the DNA or RNA, which contain the information necessary for the virus to replicate and transmit. Determining the sequence, therefore, yields useful information that can be applied in any number of medical and scientific disciplines. However, while there is a great deal of viral genome sequencing taking place, “there is currently no unifying framework, no common vocabulary about how ‘finished’ a particular viral genome is,” said the paper’s first author, Jason Ladner, Ph.D., of USAMRIID. The level of finishing determines a genome’s suitability for various downstream applications, including the design of diagnostics, reverse genetics systems and countermeasure development. The team hopes to fill that void by outlining five “standard” categories that encompass all stages of viral genome finishing, and defining the categories using simple criteria that apply regardless of the technology used for sequencing. “Because technology may phase out quickly, we wanted the standards to be ‘agnostic’—meaning they’re not tied to a particular platform—so they can continue to be relevant over time,” Ladner explained. He and Palacios credit the group’s ability to form a consensus around these genome standard categories, which will provide a framework that can be used across all fields of research involving viruses. In addition, the standards could be utilized by public sequence repositories and by federal agencies that approve and regulate products related to viruses, including diagnostics, vaccines and therapeutics. Other collaborators included the Joint Program Executive Office for Chemical and Biological Defense and the U. S. Food and Drug Administration (FDA). The work was funded, in part, by the Defense Threat Reduction Agency (DTRA). According to the authors, DTRA and the Interagency Filovirus Animal Non-Clinical Group (FANG) already have begun to incorporate these standards into their planning and evaluation procedures. The FANG is involved in medical countermeasure development for the filoviruses, Ebola and Marburg, with the ultimate goal of moving these products into the FDA approval process. Read the editorial at mBio : Standards for Sequencing Viral Genomes in the Era of High-Throughput Sequencing. Source: US Army Medical Research Institute of Infectious Diseases.